It's been said Louisville is a small city with a big city feel. As the city continues to grow, the use of the toll bridge is just around the corner. Here is some shared information on the upcoming toll bridge that would certaily make Louisville a place to start a search for a home and an ideal place to live. Got a little “Run for the Roses” on your mind? If you’re an adventurous traveler and don’t mind going with the flow, there’s still time to make the seven-hour trek to Louisville for the 141st running of the Kentucky Derby on Saturday. If you go, prepare to see fabulous hats and taste the best the River City has to offer, including some of the finest bourbons around. Then there’s the Derby, the coveted Triple Crown’s first leg held each year at the storied Churchill Downs, with its twin spires and lush landscaping. Tickets for the race are still available. A $60 ticket will get you into the infield, a grassy area in the center of the track that becomes a sea of humanity on Derby day. Hotel rooms are still available if you’re willing to pay more and stay outside of the city. Need more reasons to make the trip? The Derby and related festivities make for a week’s worth of parties with famous athletes, celebrities, millionaires and regular folks. During Derby weekend, the city’s bars stay open until 6 a.m.
Perched on the Ohio River, the city of Louisville (population 600,000) has some great sights. Must-see places include the Louisville Slugger Museum and factory and the Muhammad Ali Center, a museum dedicated to the life, career and politics of the boxing great. The Kentucky Derby Museum is closed Friday and Saturday for private parties but is open other days this week as well as the Sunday after the Derby. The Belle of Louisville, the nation’s oldest operating steamboat, is another popular tourism draw. The Chow Wagon, on the city’s waterfront, features rides for kids, food, vendors and entertainment and is one of over 70 events sponsored by the Kentucky Derby Festival. The Kentucky Oaks — a race for 3-year-old fillies at Churchill Downs on Derby eve — has become a huge draw and is the preferred event for locals because it’s cheaper and less crowded. As for the party and gala circuit, be prepared to plunk down some serious cash. Most Derby galas benefit local charities, said Peggy Riley, a Louisville native and director of Southeast sales for the Louisville Convention & Visitors Bureau. The Republic Bank Pegasus Parade has been a long-standing tradition in Louisville for the past 59 years. The march down Broadway has become a staple in the Louisville community, as well as tradition among families and friends. One family in particular not only attends the parade but was at the helm of its founding. Three generations of the Jones family have helped to pave the way for a successful parade, and this year, give us a glimpse of what it was like in the early years. With the thought of economic success on the mind, the Chamber of Commerce launched a parade hoping for the best and charging forward to help the city benefit from the long-standing Kentucky Derby horse race. “The parade was always on Broadway except we didn’t have seats, people came out but it wasn’t a very large crowd, a respectable one, but not very large. It was only after a few years that it really took off and slowly became what it is today.” Ana Lee was on the floats for the first 2-3 years but the real star of the show was her brother, Charles M. “Pat” Jones. Charles M. “Pat” led the parade in 1956 on his trusty steed, Silver, a white horse of which he bought from Dixie Stables. Pat Jones’s wife, Erma Jones Greer brought her children Patty, Gary, and Becky to the parade and remembers fondly sitting on the curb watching her husband lead the parade down Broadway. Erma reflected on the first parade. “It was mostly horses, not many floats. It started on 9th and Broadway and went east. The next year I was pregnant and my son was born on the day of the parade. Needless to say the parade was a huge part of our family in the 1950s.” Pat & Erma’s daughter, Patty Jones Adwell worked at Brown & Williamson and participated in the parade as a float handler. Charles and Anna Lee brought their family out in support of the parade. Whether it was participating in the parade or supporting on the sidelines, everyone in the family supported in any way they could. The Jones family did a great service to the city of Louisville and truly impacted the history and culture of the Kentucky Derby Festival. After 59 years, the Pegasus Parade is truly a family tradition. 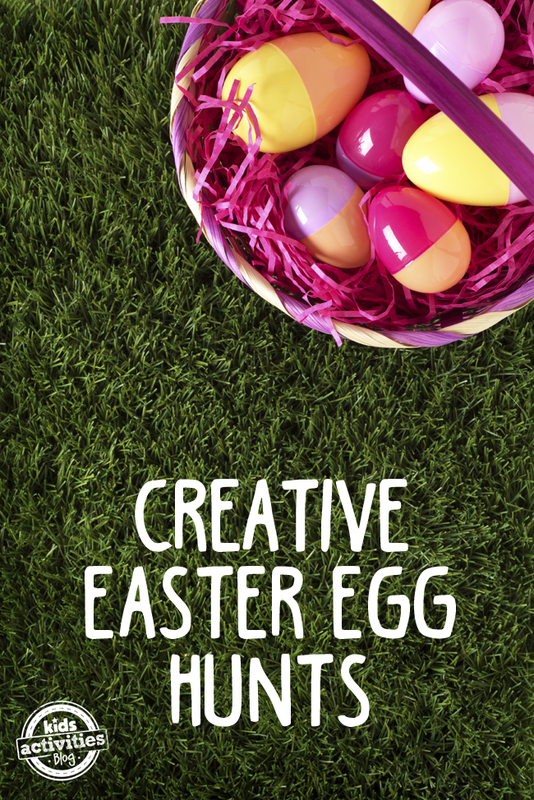 Enjoy a Creative Easter Egg Hunt! Ah, Easter Sunday morning. What a peaceful, quiet time of reflection. The children come downstairs dressed in their Sunday best and the family enjoys a leisurely breakfast before heading to church. What? That doesn’t happen at your house? Yeah. Mine neither. My kids are up at the crack of dawn to see what the Easter Bunny left for them before scrambling to find all the hidden eggs. All is over before we have even had our first cup of coffee. Boo. Fed up with the fun being over in 3 minutes flat, we have tried several different twists on the traditional Easter Egg hunt. My kids have enjoyed the change as it keeps the fun fresh and new each year. And most importantly, what took the “Easter Bunny” a hour to do is not decimated (and forgotten!) in less than 5 minutes. Who doesn’t like shopping? - Hide ‘Bunny Munny’ in several of the plastic eggs to buy things at the Bunny Emporium. Pick up several fun Easter trinkets at the dollar spot or things that appeal to your children (toys, movies, books). Price them at different price points and have your children “shop” with their money. Color hunt – Assign hunters a particular color(s) to find on their hunt. This is especially good when hunting with mixed ages, as it allows the younger children a chance to find a equal amount of eggs. Flashlight Hunt – Put together your hunt the night before Easter. 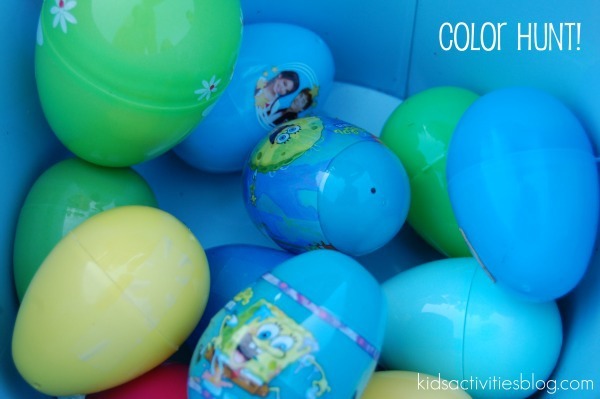 Using flashlights and glow-in-the-dark paint on the eggs, kids will love to find their eggs at night! 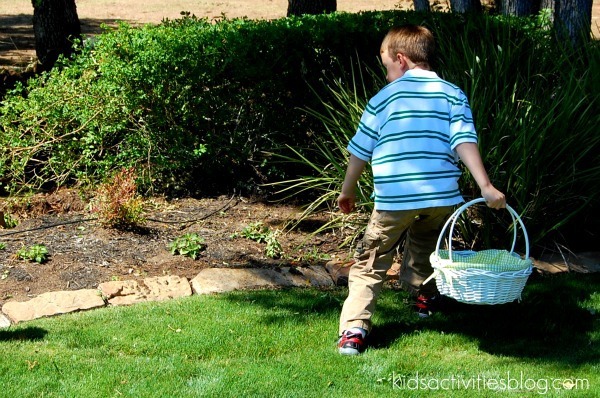 Easter Egg Checklist- Give each hunter a list of what particular eggs they are supposed to find, “4 yellow eggs, 3 purple eggs, 1 golden egg, etc.”. This turns it into a true hunt and you will find the kids end up helping each other out. 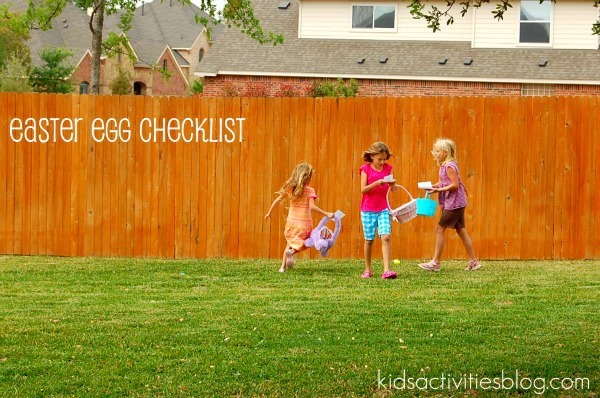 Scavenger hunt – Older kids LOVE a good hunt. With a little bit of pre-work, this will be a favorite! Put clues to find each consecutive egg in the plastic eggs hidden throughout the entire house and have their ultimate find be their Easter Baskets. Be creative with your clues (Hop on over to the place which makes you go brrrr…) and make your kids think! The only drawback to having a fun Easter Egg Hunt? My kids have come to expect a creative hunt every year! 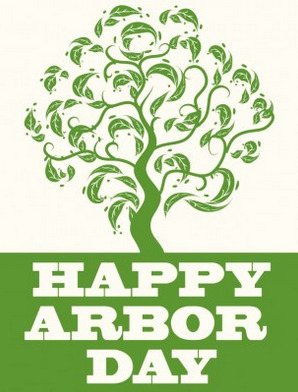 The Anchorage Forestry Board invites residents to their annual Arbor Day event, Wednesday, March 25th, 6-7 pm, at City Hall. 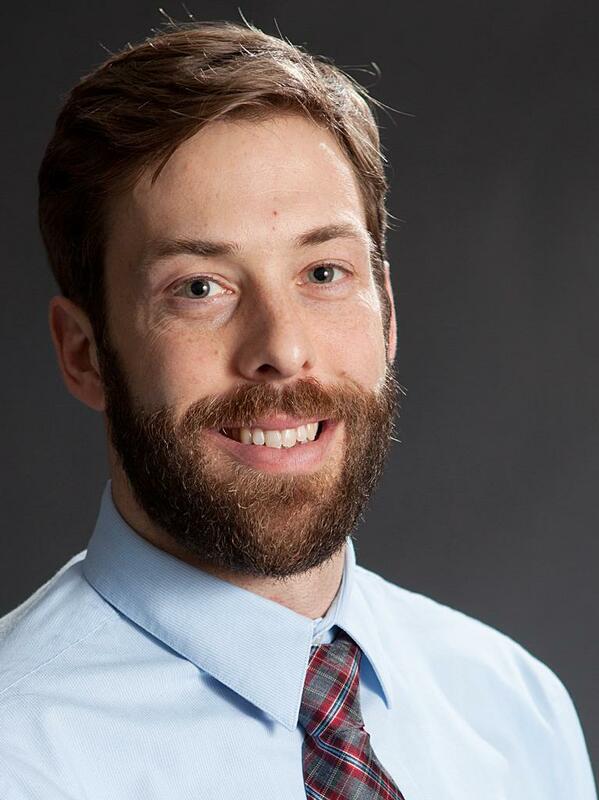 This year's guest speaker is Andrew Berry, Forest Manager at the Bernheim Arboretum and Research Forest, who will discuss the Bernheim Forest and Anchorage connection. After the program, each adult attending the presentation will receive their choice of trees to take home that evening. Please note that the nursery could not deliver the Katsura trees listed in The Anchor Age. As substitutes, Golden Chain and Hop Hornbeam trees were selected. Other available trees include Heritgage Birch, Kwanzan Flowering Cherry, Kousa Dogwood, Allegheny Serviceberry, and Flame Maple (clump). March Madness is upon us! Get in on the fun with this interactive bracket! As of 2014, Louisville's population is741,285 people. Since 2000, it has had a population growth of 26.77 percent. Average Commute time is 22 minutes. The National Average is 25 minutes. The median home cost in Louisville is$148,100. Home appreciation the last year has been 1.40 percent. Compared to the rest of the country, Louisville's cost of living is 9.50% Lower than the U.S. average. Louisville public schools spend $12,091 per student. The average school expenditure in the U.S. is $12,435. There are about 17.1 students per teacher in Louisville. The unemployment rate in Louisville is6.90 percent(U.S. avg. is 6.30%). Recent job growth is Positive. Louisville jobs have Increased by 0.25 percent. The New York Times Magazine recently published a stating-the-obvious article about the kombucha-drinking, well-educated, lifestyle-obsessed, open-minded young people of Portland, Ore. As Fred Armisen and Carrie Brownstein would happily tell you, this isn’t really news. But the noteworthy line was buried at the end of the second paragraph: Portland has the country’s second-highest rate of attracting and retaining young college-educated people. Louisville, Ky., is first. HGTV’s FrontDoor blog notes that Louisville “has two personalities. There’s the urban area within the Watterson Expressway belt highway, comprising the old city and its early suburbs. It’s funky, urban and politically ‘blue.’ Yet unlike many older cities, many of its most vibrant neighborhoods never suffered ‘white flight’ and have not needed gentrifying.” And it’s affordable, livable, blessed with good weather, and home to new entertainment and sports complexes, loads of trendy restaurants, a burgeoning tourism industry, smart people, a thriving coffee culture and even its own Museum Row. Named America’s ninth most hipster city by Thrillist, the birthplace of Hunter S. Thompson has a mix of history and amenities that might make it the next Portlandia. “[Joan Didion] cut loose any fixed idea that I ever had about death, about illness, about probability and luck, about good fortune and bad, about marriage and children and memory, about grief, about the ways in which people do and do not deal with the fact that life ends, about the shallowness of sanity, about life itself.” That quote from influential New York Times book critic Michiko Kakutani appeared in a Fall 2014 Kickstarter campaign to fund a documentary about Didion. The campaign reached its fundraising goal of $80,000 in about 24 hours, after a big push from mainstream newspapers (Los Angeles Times, Christian Science Monitor) and the fashion industry, where Didion’s signature look has long been iconic. Vogue, where Didion worked in her early days, ran an exclusive trailer of the film. Refinery 29, I Want to Be Her! (whose author, a former fashion editor, offered up a Didion-inspired wardrobe) and a host of others expressed their wild enthusiasm for the project. The team could have funded the project in many ways, but it chose Kickstarter to “reach as many people as possible.” In this way, they engaged Didion’s fawning fan base from day one, generating early buzz for what will surely be one of the most dissected films of the year. Fueled by social media and YouTube, the Korean Wave began as an obsession with K-pop music (remember Psy?) and South Korea’s wacky K-TV dramas (the next Bollywood). Cuisine is the “third member of the Korean Wave triumvirate,” and the South Korean government is harnessing that power. According to The Wall Street Journal, the government spent 21.9 billion won ($19.7 million) in 2012 on the “globalization of Hansik” (Korean cuisine), with former first lady Kim Yoon-ok leading the charge. It worked. An analysisby GrubHub of its 20,000-plus restaurants cited Korean food as the eighth-highest trending cuisine in the U.S., with a 22 percent increase in popularity from 2012 to 2013. And the wave rolls on: The New York Times reported on the growing popularity of South Korean skin-care products, and Women’s Wear Daily looked at the mushrooming presence of South Koreans at Fashion Week, noting that the country was once considered purely a consumer market but is becoming a trendsetting region. 2015 in Marketing, PR and Buzz Generation!!! Communications, businesses and expectations today shift at lightning speed. If we want to succeed—marketers especially, but anyone in any industry—we have to constantly rewrite our best practices. We also need to be aware of what we’re doing now and what to expect for the future. Management experts encourage companies to consider how they engage with millennials, who will soon make up the largest segment of the workforce. Flexible hours and dress codes, frequent feedback, an emphasis on social responsibility and a collaborative company culture are all on the increasingly standard list. And they’re all good ideas. But when creative companies take it further—sometimes by a lot—they aren’t just attracting and retaining top talent, or increasing productivity. All those free yoga classes, laundry services, manicures, climbing walls, dog-friendly office spaces, tuition reimbursements and company gyms are tools for burnishing companies’ brand halos, for getting the rest of us talking about what cool companies they’d be to work for (and, by subconscious extension, buy something from). Apple and Facebook made headlines this fall when they added egg freezing to the list of benefits offered to employees. Staff at brand consultancy BBMG are given $500 toward inspiration and another $500 for professional development, which they can decide how to use. According to Business News Daily, Patagonia encourages employees to take regular surf breaks, while Weebly pays for housecleaning and errand running. One company,FullContact, even pays employees $7,500 to go on vacation (on top of their paid vacation days) because it believes in the importance of disconnecting. Between 2005 and 2009, the term hackathon appeared four times on TechCrunch. By 2014, it was showing up in dozens upon dozens of posts. These “hacking marathons” of rapid-fire collaboration are now everywhere. In November in New York, there was a Time Inc. hackathon to generate digital ideas for the magazine industry, a New York University hackathon to reimagine technology used by students and an AT&T hackathon to create mobile apps. TechCrunch now puts on its own hackathons at its signature Disrupt conferences. Major League Hacking directs its events toward students, to tap into the tech-savvy future workforce and to encourage the coding movement at universities. Diageo sponsored a hackathon to create digital tools to help withresponsible drinking, while MIT hosted a hackathon to try and build a better breast pump. Indeed, hackathons are moving out of the tech realm and into other areas, such as lifesaving medicine. Yes, the events prompt innovation, but they’re also a means of generating PR buzz for a relatively small investment of time and resources, and we haven’t seen the end of them. Earlier this year, Ad Age reported on global brands like Coca-Cola and Nissan adopting virtual-reality campaigns in which people wear VR goggles and motion sensors to have immersive experiences like playing soccer in the World Cup or diving off a plank. For now the technology is cumbersome—marketers have to provide the hardware—but the article pointed toward investment in better VR and stated: “Virtual reality could be transformative for the ad industry. Instead of interrupting people with ads, marketers could sponsor virtual experiences people actually seek out.” With virtuality and reality blurring, no wonder I am constantly confused: Did I just …? Are we …? 2015 in Family Caregiving & Stages of Life!! My colleagues at Havas Worldwide and I launched our annual trends report last week, which forecasts an übertrend for the next 12 months of everyone focusing on their individual selves, from self-tracking to self-improvement and more. The report’s nine other trends center on the global middle class, the desire to be memorable, bugs, safe eating, frenemies, women, wild things, small business and the new local. We’ve also come up with a massive list of sightings about what’s next, which we’ll release in January but are previewing in a series here over six days. Many of them have obvious implications for marketers. The concepts of family, parenting and life stages have taken on new relevance and economic significance as baby boomers continue aging, younger adults find themselves squeezed in the sandwich generation, and the lingering hangover of the Great Recession has created a boomerang generation of un(der)employed millennials who return home to live until well into their 30s. That’s a lot for Americans to navigate. “When the Diagnosis Is Rare, Parents May Know More Than Professionals” was the headline of a New York Times article this fall. It describes how parents of children with rare diseases have used online medical literature and information-sharing tools to become so knowledgeable about their children’s conditions that they serve not just as advocates but also as the deferred-to decision makers. “Especially in the rare disease community,” the article explains, “parents’ knowledge can often easily surpass that of the children’s doctors.” According to Children’s National Health System, “Patient advocacy and parent involvement for children with rare diseases also [are] expanding.” Researchers now meet with parents to present findings and learn what’s important to them. It is in part because of parent involvement that Children’s now believes that drug development for many rare diseases is at a tipping point toward providing treatments that will transform many lives. As baby boomers age, and with people living longer than ever before, a growing demographic of caregivers has emerged—some 65 million individuals who provide unpaid care for a friend or family member with a chronic health condition. For these caregivers, the financial responsibilities, time demands and stress take a toll. Enter technology. According to a study by Pew Internet & American Life Project, “caregivers are heavy technology users and are much more likely than other adults to take part in a wide range of health-related activities” online. So in addition to supportive publications (likeToday’s Caregiver), nonprofits (Family Caregiver Alliance andCaregiver Action Network among them), and government-funded and private programs, a number of new technologies are aiming to help. New apps include features ranging from disease information, medicine management, symptom logs and medical history to support groups and tools that allow sharing of schedules and information with other family members. 2015 in Fashion, Beauty & Design!! When many people hear the word trend, their mind first goes to fashion. Even though the cultural phenomena that I like to call Future Headlines exist in every discipline, many of us don’t recognize them as trends. A suddenly popular food, like the dressed-up biscuits that are the latest “it” meal, isn’t seen as a trend—it’s seen as the best thing ever. We believe new, of-the-moment business practices are simply the future, not ideas that come into vogue and fall back out. Fashion, however, along with her sisters beauty and design, are obvious trends. We expect them to be in Vogue, then not in vogue. Each season, we look forward to seeing what ideas will take root thanks to the blessing of designers, creative directors, stylists, celebrities and, increasingly, bloggers and social media stars. Your “went to the gym and skipped the shower” look is now chic. Chanel has debuted anathletic-themed lineup, Alexander Wang’s H&M collection combines couture and sport, Net-a-Porter launched a Net-a-Sporter channel ($250 yoga jumpsuit, anyone?) and thehippest store in the Hamptons sells workout wear. Tory Burch, the princess of pulled-together, is coming out with a sport line in early 2015, and Beyoncé announced a partnership with Topshop for an athletic streetwear brand. Indeed, sneakers have replaced stilettos as every style maven’s favorite footwear. Denim sales are down (and yoga pants are up). The new athleisure is part of our healthier (but hectic) lifestyle: We prioritize working out, but we’re too busy to change. Or we just want approval to wear elastic waistbands around our ever-expanding midsections. Designers and retailers are following the lead of Vivienne Westwood, Ralph Lauren and other top brands and forgoing fur. Last year, West Hollywood banned the sale of fur in its tony boutiques. This year, London’s hot Mahiki nightclub announced a new fur-free dress code. And Piperlime, a subsidiary of Gap Inc., said it would stop selling furafter a petition from a woman in Virginia gathered more than 50,000 signatures on Change.org. The holdouts are coming under pressure: The international animal welfare group Four Paws (which successfully pushed Patagonia and the North Face to create standards for ethical down) just launched a campaign against Burberry. Last year, PETA released undercover footage from a Chinese angora farm, and after pressure from a group Jezebel described as “every human with a conscience,” Zara, Gap and other retailers temporarily banned angora. With roots in normcore and the tomboy style that has been popular in recent years, today’s androgyny takes in closely cropped hair, oversize silhouettes and skinny black suits with collared shirts. “[F]or fall 2014,” wrote Vogue, “we’re seeing unprecedented gender fluidity on the runway—womenswear borrowing from menswear borrowing from gals borrowing from the boys—describing clothes in terms of traditional ideas of aesthetics of the sexes feels inaccurate, not to mention stale.” Celebrities like Ellen Page, Tig Notaro, Tilda Swinton, Milla Jovovich, Jared Leto and Annie Lennox are known for their androgynous style, as are bloggers like Leandra Medine of Man Repeller and Emily Weiss of Into the Gloss. Even Gwyneth Paltrow and model Cara Delevingne have made headlines recently for their androgynous fashion choices. This home was featured in the 2014 Homearama in the Shakes Run subdivision. The annual home showcase features newly constructed homes from area builders. This year's Homearama was held in the Shakes Run neighborhood, featured eight homes and drew more than 30,000 people. It was the 46th annual Homearama showcase in Louisville. Click here for a slideshow of this year's homes. Spring Farm Lake is located off of Wolf Pen Branch Road in Prospect. The subdivision has 15 lots that are available for purchase and that could be part of Homearama, which will be held from July 11 to July 26. Spring Farm Lake is being developed by Signature Green Properties LLC, according to a news release. The lots available for purchase for Homearama back up to a two-acre lake or a deed-restricted 12-acre pasture that is permanent open space, according to the release. The lots range in size from 25,000 to 30,000 square feet and will be priced at $115,000 to $175,000. For more information about Homearama, click here. Braden Lammers covers these beats: Financial services, residential real estate, law, property and casualty insurance, construction, unions, engineers, architects and agriculture. 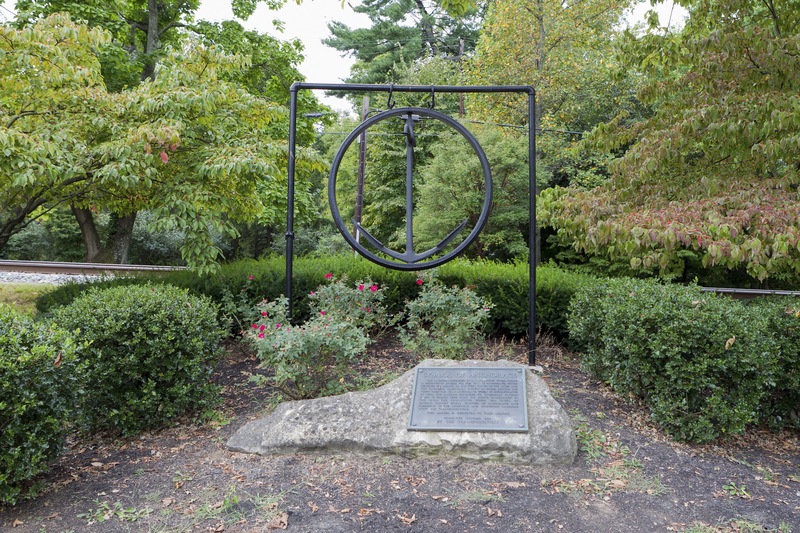 Anchorage is a historic, thriving community nestled into the outskirts of Louisville, Kentucky. 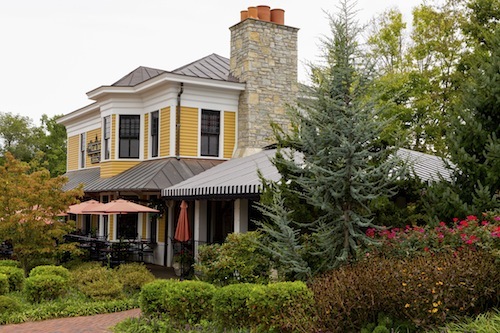 Originally (circa 1920's) the hot spot for weekend country homes to wealthy Louisville citizens, today the land is occupied by charming homes of all shapes and sizes. Residents enjoy a close-knit village that remains committed to it's families, it's award-winning school, it's natural environment as well at the ongoing preservation of the city character. A variety of local activities, including the annual 4th of July festical complete with a children's parade, encourage lively neighborhood involvement. Stroll or take a job on the scenic Anchorage Trail and you are likely to run into neighbors on horseback. If you are looking for a small town feel in a truly picturesque setting, Anchorage is definitely a place to consider calling home. “The Mortgage Choice Act that passed the U.S. House of Representatives last night importantly redefines a provision in the Ability-to-Repay rules that limits mortgage fees and points to three percent in order for home loans to be considered Qualified Mortgages. “The provision unfairly prevents brokers and affiliated lenders from making QM loans because their joint venture services are collectively counted against the cap, while individual services from large retail financial institutions are each capped separately. “The Mortgage Choice Act treats affiliated and non-affiliated service providers the same way under the rule while still protecting borrowers from risky loan products. “Realtors® will continue to advocate for this legislation to clarify the QM rules as it moves to the U.S. Senate. Here's a quick summary of what I learned. The program aims to: 1) better prepare high school students for college; 2) make college education more accessible and affordable; 3) lower drop-out rates; and 4) drive employment support from major corporations in the area. Listening to Mary Gwen Wheeler speak on the topic, it was easy to understand why 55,000 Degrees has garnered the support of our mayor, all the major universities and colleges in the Louisville area, and numerous local corperations. As a teacher in a prior life (before real estate! ), education is a topic very close to my heart. It is exciting to witness and meet the players behind major initiatives like this that aim to drive Louisville's continued growth and success.